Hope you’re well and had a great weekend! It has been fantastic working with you all over the last 2 years and thank you for your continued help and support in driving Ryman’s performance. Hope you’re well and having a great week! This 9 litre box comes with a lid and clip lock handles to keep its contents secure. It can be used for storing a range of items such as office supplies, school stationery, crafts items, A4 paper, shoes and many more. If used for storing CDs or DVDs, this box can hold 20 DVDs or 40 CDs. This Really Useful Box has a 35 litre capacity. It is a transparent, solid plastic box for multi-purpose storage. This 35 litre Really Useful box comes with a lid and clip lock handles to keep its contents secure. It can be used as a car boot box and for storing a range of items such as office supplies, A4 and foolscap files, office supplies, school stationery, crafts materials and many more. This 64 litre Really Useful box comes with a lid and clip lock handles to keep its contents secure. It can be used as a car boot box and for storing a range of items such as office supplies, A4 and foolscap files, office supplies, school stationery, crafts materials and many more. Get even more storage with the XL range, with extra room in the reinforced lid to store more for your money. This Really Useful Box has a 5 Litre capacity with extra room in the lid for even more items. Perfect for storing your craft or stationery supplies, each box can be stacked on top of one another and the contents secured with the clip on lid. This extra large, 9 litre box comes with a lid and clip lock handles to keep its contents secure. It can be used for storing a range of items such as office supplies, school stationery, crafts items, A4 paper, shoes and many more. It is large enough to store 100 vinyl 7 inch singles. This Really Useful Box has a 11 Litre capacity with extra room in the lid for even more items. Perfect for storing your craft or DIY supplies, each box can be stacked on top of one another and the contents secured with the clip on lid. This extra large, 18 litre box comes with a lid and clip lock handles to keep its contents secure. It can be used for storing a range of items such as office supplies, school stationery, kitchen utensils, crafts and knitting items, electrical DIY equipment, cleaning products and many more. It can also be used to store CDs, DVDs or vinyl records, and can hold 44 DVDs, 93 CDs, or 200 vinyl 7"
Made from sturdy polypropylene, this 19ltr XL storage box is extremely durable. It is transparent to allow easy identification of contents. With its moulded suspension ridges for holding A4 suspension files, this box can be used to store and organise A4 documents, and is perfect for home and office suspension filing. The 19ltr XL Really Useful Box can also be used to store Vinyl LPs. The XL size allows 50 vinyl LPs to be stored safely away from damage. This Really Useful Box has a 21 Litre capacity with extra room in the lid for even more items. Perfect for storing your garden or DIY supplies, each box can be stacked on top of one another and the contents secured with the clip on lid. The 35 litre capacity box can hold a number of 12x12" Scrapbooks, Photo Albums, books, magazines and much more. With the XL size, the 35 litre XL box allows 95 vinyl LPs to be stored safely away from damage. Happy hump day! Hope you’re all having a great week! Terms & Conditions: Voucher is valid online only and ends Monday 30th May. Enter MAYBANK2 at the checkout when ordering online to receive 20% off when you spend £40. Only one voucher use per customer. Discount cannot be applied retrospectively. No cash alternative. The offer excludes: gift vouchers, EPAY products, Post Office products, DHL services, charity products, Kindle, Tablets, PC Software, Cameras, Printers, DAB Radios, Bluetooth Audio, Red Letter Days Experiences, Apple products and any products which state they are not eligible for discount. Cannot be used in conjunction with Student or Business discount. This is the Canon Pixma MG2450 Compact All-In-One for easy printing, scanning and copying at home, offering optional cost-effective XL ink cartridges and software for smart website printing. Hope you’re all well and ready for the weekend! Terms & Conditions: Voucher is valid online only and ends Sunday 22nd May. Enter MAY15 at the checkout when ordering online to receive 15% off when you spend £35. Only one voucher use per customer. Discount cannot be applied retrospectively. No cash alternative. The offer excludes: gift vouchers, EPAY products, Post Office products, DHL services, charity products, Kindle, Tablets, PC Software, Cameras, Printers, DAB Radios, Bluetooth Audio, Red Letter Days Experiences, Apple products and any products which state they are not eligible for discount. Cannot be used in conjunction with Student or Business discount. Here’s a roundup on some of the best offers we have on electricals to keep your home office running, including printers, shredders and more! This Canon Pixma MG 3650 Printer is a high quality device combining all of your essential office equipment in one handy printer. This 3 in 1 printer easily connects with smart devices and the cloud using this compact Wi-Fi All-In-One. 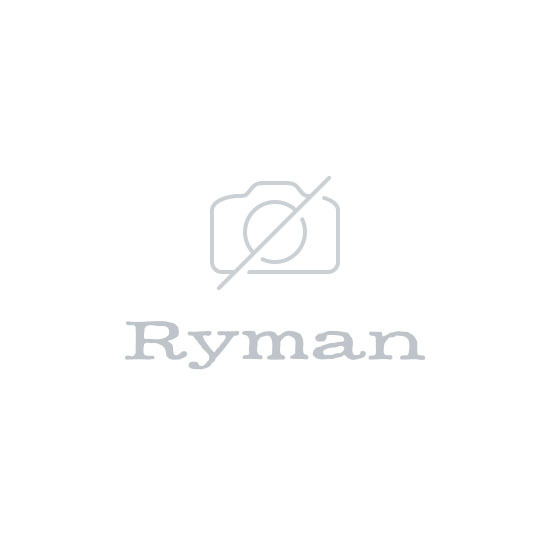 This Ryman XC600CM Cross Cut Shredder is a perfect home and small office shredder. A strong plastic black and silver top with a black metal mesh bin makes the design sleek and contemporary. The cross cut produced by the strong metal mechanism makes sure that documents are unreadable and the added feature of shredding staples makes it ideal for a small office to use. Designed to fit neatly onto your desk without occupying much space, the QL570 has high print resolution, making it ideal for printing quality logos, images and text onto your labels, quickly and easily. This BT 8610 twin phone pack comes packed with all the functionality that a busy home or small business would need. With a long range reception you can talk anywhere in your home or garden and a long battery life of 21 hours ensures you don't need to cut your conversations short! You can store up to 200 names on the phone book and the call blocking functionality ensures you don't get pestered by unwanted calls. Terms & Conditions: Voucher is valid online only and ends Sunday 8th May. Enter MYBH16 at the checkout when ordering online to receive 20% off when you spend £40. Only one voucher use per customer. Discount cannot be applied retrospectively. No cash alternative. The offer excludes: gift vouchers, EPAY products, Post Office products, DHL services, charity products, Kindle, Tablets, PC Software, Cameras, Printers, DAB Radios, Bluetooth Audio, Red Letter Days Experiences, Apple products and any products which state they are not eligible for discount. Cannot be used in conjunction with Student or Business discount. Hope you all had a cracking weekend! Terms &amp; Conditions: Voucher is valid online only and ends Sunday 8th May. Enter MYBH16 at the checkout when ordering online to receive 20% off when you spend £40. Only one voucher use per customer. Discount cannot be applied retrospectively. No cash alternative. The offer excludes: gift vouchers, EPAY products, Post Office products, DHL services, charity products, Kindle, Tablets, PC Software, Cameras, Printers, DAB Radios, Bluetooth Audio, Red Letter Days Experiences, Apple products and any products which state they are not eligible for discount. Cannot be used in conjunction with Student or Business discount. Hope you all had an ace weekend! This Bisley Metal Filing Cabinet is a great value steel 2 drawer A4 filing cabinet. This filing cabinet features lockable filing drawers for the convenient and confidential storage of A4 suspension files. This Traditional Oak Effect Desk would look stylish in any office or home. Enjoy the added space due to the integrated drawer and roomy storage unit with this desk. An entry level chair this is an ideal option for office, home use or perfect for use in a conference or meeting room. The stylish mesh chair is an adjustable and affordable chair. This Function Plus desk is ideal for use in the home or office and is a sturdy and stylish piece of furniture. The white gloss finish gives a sleek, contemporary feel. This desk has been designed to be used in an area where space is at a premium. The Stylish Mesh Task Chair is a strikingly elegant adjustable chair with nylon base, ideal for everyday use. The air mesh upholstery offers back support. The chair`s fixed arms further enhance support, while the chic design means its practicality is matched by its visual appeal. This mesh chair is perfect for everyday use in the office or home office, its eye-catching design making it a perfect fit for even the most style conscious interior. If you need a new desk for the home office or study then this corner home office desk is ideal! With a contemporary and sleek feel, this White corner desk would be perfect used with laptops, tablets or netbooks. The corner design is a space saver and the two shelves give added storage or an ideal spot for a printer. The open back design makes cable management easy. This 22 litre box comes with a lid and clip lock handles to keep its contents secure. It can be used for storing a range of items such as office supplies, school stationery, kitchen utensils, crafts items, DIY equipment, cleaning products and many more. It is large enough for storing wrapping paper, and can also be used for DVD or video storage - it can hold 50 DVDs or 25 videos. Furniture is now one of our biggest categories on the affiliate network and continues to grow each week and to support this we’ve also just brought in a new range of office furniture designed to give you a modern workspace that meets all your filing and storage needs. These are higher priced lines aimed at those who work from home and small businesses which will drive your AOV and commission earned with 5% available for each sold (ex VAT). This beautiful home office bookcase has an oak style finish and is perfect additional storage for your living room, office or bedroom. Fill with books, ornaments and anything else that you need to house. As an added bonus this stylish bookcase has a low cupboard underneath for additional storage. This oak effect bookcase would be ideally matched with the Porto office desk for a look that is contemporary and stylish at a fraction of the cost. Perfect to complete a home office this straight desk is finished with an oak effect. To keep your workspace tidy and organised this desk has a built in pedestal of 3 drawers. This oak effect desk would be ideally matched with the Porto Bookcase for a look that is contemporary and stylish at a fraction of the cost. The striking Rio home office desk has a teak style finish with a frosted tempered glass top. Part of a contemporary range of furniture including a matching pedestal and modern bookcase this range is great value for money. This contemporary pedestal is ideal as stand-alone storage or as part of the Rio desk set. This pedestal has a great design with 2 drawers, ideal for filing, stationery and paperwork. This pedestal would be ideally used under the Rio teak effect desk for a stylish office desk with storage at a fraction of the cost. Did you know at Ryman we stock a huge range of own brand ink, saving you money with their discounted price and higher ink contents vs the branded equivalent. These are compatible and available for a huge range of printers, including today’s most popular lines from the likes of HP, Canon, Epson and Brother! Don’t forget, you’ll earn 5% commission for each product sold PLUS FREE Next Day Delivery when you spend £30 or more. Starting tomorrow (5th April) we will have a whole range of exciting offers and promotions launching online and in-store. Here’s a quick overview of the biggest promotions which will earn you the most commission! Use this Maxtor M3 1TB portable hard drive to store all of your documents, photos and videos. You can quickly store documents and pictures as a back up to your device, the ideal companion for anyone who wants to secure their digital content. This Bisley Metal Filing Cabinet is a great value steel 2 drawer A4 filing cabinet which features lockable filing drawers for the convenient and confidential storage of A4 suspension files. If you are looking for a light travel case, ideal for professional use then the Granada Wenger is perfect. This modern wheeled laptop case boasts easy glide wheels to make manoeuvring in crowded or narrow areas a breeze. With an added spacious overnight compartment you can take your clothes and toiletries along for the next day - stored with everything you need for work in one modern bag. Shred safely and efficiently with this Fellowes 60Cs Cross Cut Safesense Shredder. This compact shredder shreds up to 10 sheets per pass into 4x50mm cross-cut particles (Security Level P-3) shredding each sheet of A4 paper into over 300 particles so you can be confident that documents such as unwanted mail, internal company documents and personal data are being disposed of securely. The Bic Cristal Ballpen pack of 50 is an excellent value ball point pen with a medium tip. As its name suggests, this is a well-known everyday pen that offers reliability and precise writing. The Bic Cristal's ink supply is visible, to warn you when ink levels are running low. Terms & Conditions: Voucher is valid online only and ends Monday 28th March. Enter EASTER16 at the checkout when ordering online to receive 15% off when you spend £30. Only one voucher use per customer. Discount cannot be applied retrospectively. No cash alternative. The offer excludes: gift vouchers, EPAY products, Post Office products, DHL services, charity products, Kindle, Tablets, PC Software, Cameras, Printers, DAB Radios, Bluetooth Audio, Red Letter Days Experiences, Apple products and any products which state they are not eligible for discount. Cannot be used in conjunction with Student or Business discount. Terms & Conditions: Voucher is valid online only and ends Sunday 13th March. Enter MRCH15 at the checkout when ordering online to receive 15% off when you spend £30. Only one voucher use per customer. Discount cannot be applied retrospectively. No cash alternative. The offer excludes: gift vouchers, EPAY products, Post Office products, DHL services, charity products, Kindle, Tablets, PC Software, Cameras, Printers, DAB Radios, Bluetooth Audio, Red Letter Days Experiences, Apple products and any products which state they are not eligible for discount. Cannot be used in conjunction with Student or Business discount. Hope you’re all well and have a great week so far! Don't miss a moment of your adventure with this cool action video camera from Polaroid. The Cube HD is perfect for capturing all of your best and memorable moments on camera. This Lifestyle action camera is splashproof. This Polaroid action camera supports Micro SD cards up to 32GB, and is ready to capture your most exciting moments in full HD video or high-resolution images. For those that loved Polaroid classic instant cameras, you will be excited to discover their latest addition to the Polaroid family. The Polaroid Snap Instant Digital Camera captures all of the fun and spontaneity of the legacy Polaroid instant cameras in a super compact, digital camera. Extremely fast - you can shoot a new photo while printing the previous shot! Simply point and click to capture high quality photos, or use the timer to set up the perfect selfie. The Prestigio 3111 multipad is designed for people to stay connected on-the-go. This tablet achieves the fastest speeds thanks to its Allwinner A33 quad core processor. This Prestigio Multipad comes with many useful apps preinstalled for a great out of the box experience. Take all of your media files with you with 8GB of memory and an additional memory card slot of up to 64GB. With loads of great functions such as front web camera for video calls as well as a 2.0 mega pixel rear camera, it's easy to connect and share with friends and family. No need to worry about the battery life either - with a powerful battery of 5000 mAh you can rest assured it will last as long as you need it to. This Prestigio Visconte 3 tablet is a MORE powerful PC in the form of a tablet boasting Intel Quad-Core processor and Windows 8.1 that work longer with a more powerful battery. This tablet has a luxury 10.1 inch display with a remarkably crisp and bright image thanks to IPS technology. The office 365 Personal enables you to use the latest full desktop version of Office applications, including Word, Excel, PowerPoint, OneNote and Outlook. Introducing the Magic Bullet 21 piece set - a pint sized blender that's ideal for even the smallest kitchen space. This clever, multipurpose kitchen appliance has so many different uses you will be using it every day. Great for smoothies, juices and cocktails as well as making dips, sauces and chopping fruit and vegetables. You can even grind your own coffee beans, the ultimate kitchen appliance! This Magic Whiteboard has 10 sheets on a roll and is really easy to fit (No screws required, simply tear off a sheet and place on any flat surface). This Magic Whiteboard can be used as a projector screen or as a whiteboard with dry wipe marker pens. These deals must end Monday 29th February so be quick! Terms & Conditions: Voucher is valid online only and ends Sunday 21st February. Enter FEB16 at the checkout when ordering online to receive 15% off when you spend £30. Only one voucher use per customer. Discount cannot be applied retrospectively. No cash alternative. The offer excludes: gift vouchers, EPAY products, Post Office products, DHL services, charity products, Kindle, Tablets, PC Software, Cameras, Printers, DAB Radios, Bluetooth Audio, Red Letter Days Experiences, Apple products and any products which state they are not eligible for discount. Cannot be used in conjunction with Student or Business discount. Hope you’re all well and set for the week ahead! Here’s a roundup of some of our best selling products currently for our affiliates to give you an insight into what’s performing well to earn you even more commission. Reap all of the benefits of eating fruits and vegetables with the Nutri Pro 1000 from Salter. It's a simple and easy way of getting well above your 5 a day without the challenge of time consuming cooking. Make your daily commute easier with the 17” roller case from Wenger. This stylish roller case has a padded compartment for up to a 17 inch/43 cm laptop with an overnight compartment for when you are on the move travelling for business or personal trips. 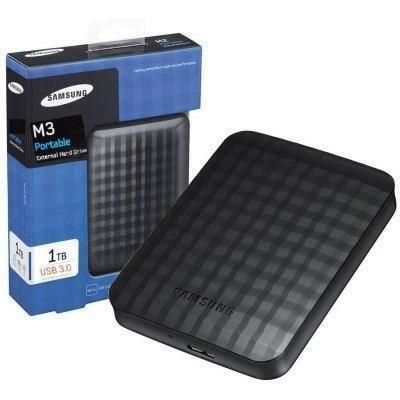 Use this Samsung M3 1TB portable hard drive to store all of your documents, photos and videos. With super-fast transfer speeds of up to 50GB/s with the 3.0 USB you can quickly store documents and pictures as a back up to your device, or use to boost the storage of your games console. Terms & Conditions: Voucher is valid online only and ends Sunday 31st January. Enter PANPD9 at the checkout when ordering online to receive 15% off when you spend £30. Only one voucher use per customer. Discount cannot be applied retrospectively. No cash alternative. The offer excludes: gift vouchers, EPAY products, Post Office products, DHL services, charity products, Kindle, Tablets, PC Software, Cameras, Printers, DAB Radios, Bluetooth Audio, Red Letter Days Experiences, Apple products and any products which state they are not eligible for discount. Cannot be used in conjunction with Student or Business discount.
. Range of cups - There is a choice of 1L or 0.8L cups as well as storage beakers with lids so that you can enjoy your delicious drink on the go! PLEASE NOTE due to high demand, and free pen WYS £40 has now run out of stock and ended. Can you please ensure any reference to this is now removed. Starting immediately, we’re giving away a free pack of Pilot pens worth £7.99 when you spend £40 or more at Ryman.co.uk! This is whilst stocks last and so far they’re selling fast, so here’s a great opportunity to drive AOV and increase your commission for each transaction! Receive a free Pack of 3 Pilot Vball 07 worth £7.99 when you spend £40 or more online at ryman.co.uk. Pens are automatically added to the basket with all qualifying orders. Whilst stocks last. Promotion ends Sunday 31st January 2016. Pens cannot be exchanged for an alternative product. No cash alternative. There’s never been a better time to push stationery! This week only at Ryman we’re upgrading all orders to next day delivery for no extra charge! Simply select Next Working Day at the checkout for the same price as Standard Delivery (£2.90). PLUS! Don’t forget it’s free when you spend £30 or more.